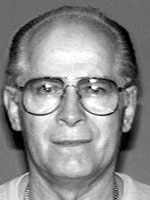 Mob boss convicted: One of the nation’s most notorious mafia leaders, James “Whitey” Bulger, was sentenced to life in prison on Nov. 13 after a Boston federal jury found him guilty of racketeering, money laundering and extortion. Bulger was a violent, cold-blooded leader of the Boston Irish mob for decades. He had been on the run for 16 years. Silk Road busted: In October, the FBI captured the elusive owner and operator of Silk Road – a website that sold drugs and other illegal items and services. The transactions were virtually untraceable because of a currency called bitcoins. The FBI seized $28 million worth of the bitcoins. Bombs in Boston: A federal manhunt ended in the death of one suspect and the arrest of another in the Boston Marathon bombing in April. The suspects, 26-year-old Tamerlan Tsarnaev, and 19-year-old Dzhokhar Tsarnaev, are accused of placing a bomb at the finish line of the marathon on April 15. The blast killed three and injured more than 260 others. Motor City corruption: Former Detroit Mayor Kwame Kilpatrick was sentenced to 28 years in prison for racketeering, extortion, bribery, fraud and tax charges in March. 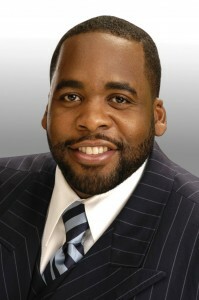 Kilpatrick, his father and a city contractor were running a criminal enterprise out of city hall. Exploited children saved: In a nationwide sweep targeting underage prostitution in July, 105 juveniles were rescued and more than 150 alleged pimps arrested. The FBI coordinated with local, state and federal officials over three days to nab suspects in 76 cities. Posted: 12/31/13 at 10:15 AM under Special Report.